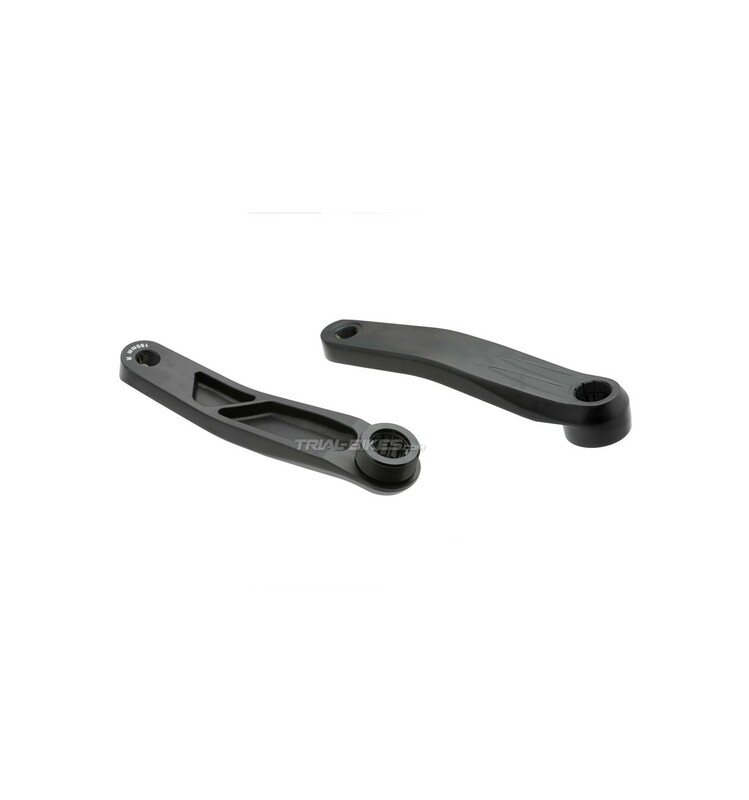 - New, ultralight ISIS-type cranks manufactured by renowned French brand Crewkerz. 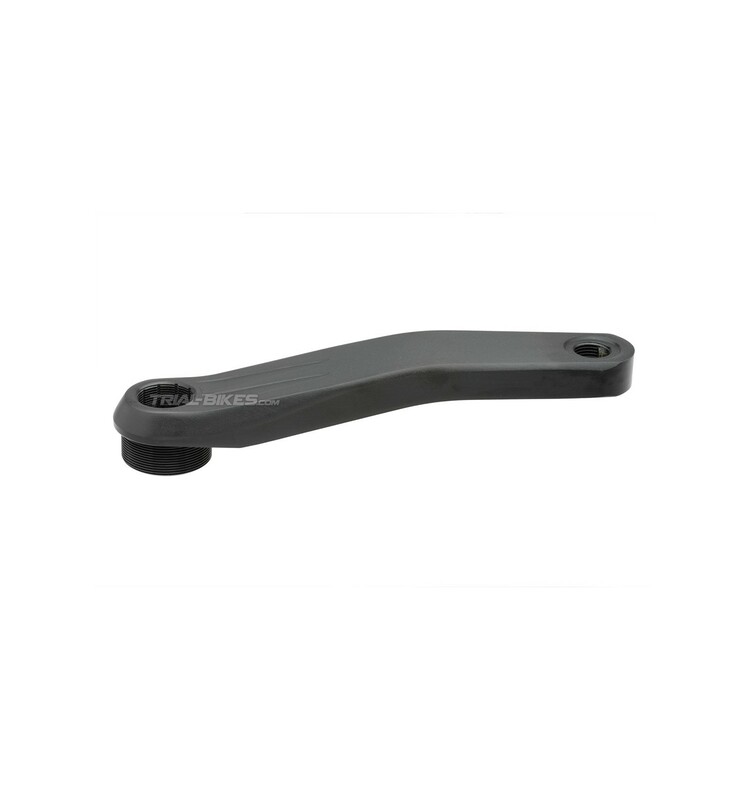 - Each crank has been CNC machined from 7075-T6 aluminium alloy. 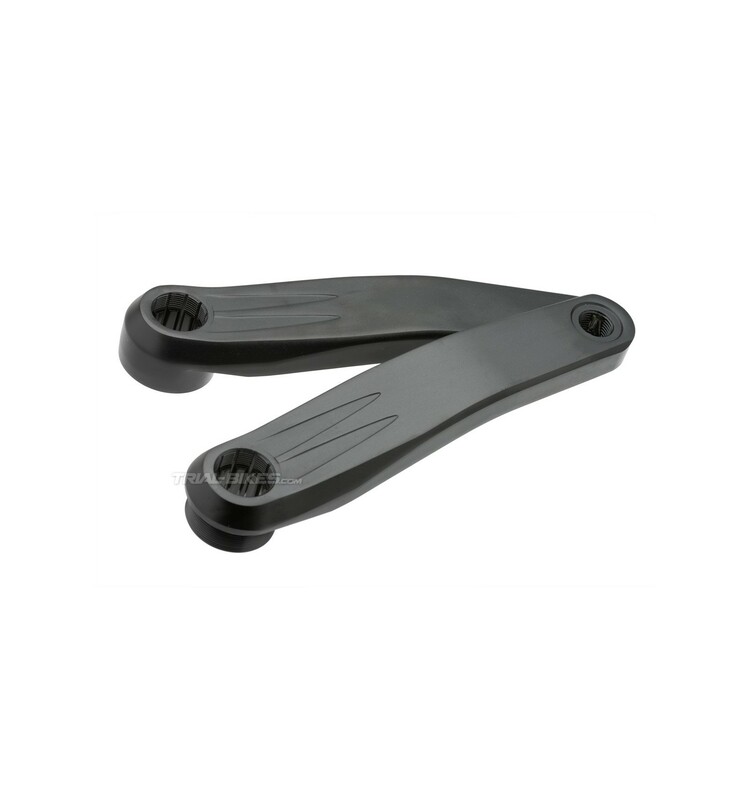 - The pedals and BB threads are made on a high-accuracy CNC machine, in order to ensure a high quality standard. - 14mm wide, standard 1.37”x24tpi thread, which allows the installation of a bashring. - Large recesses at the back of the arms help remove any excess material without decreasing its strength. - Compatible with standard ISIS bottom brackets. 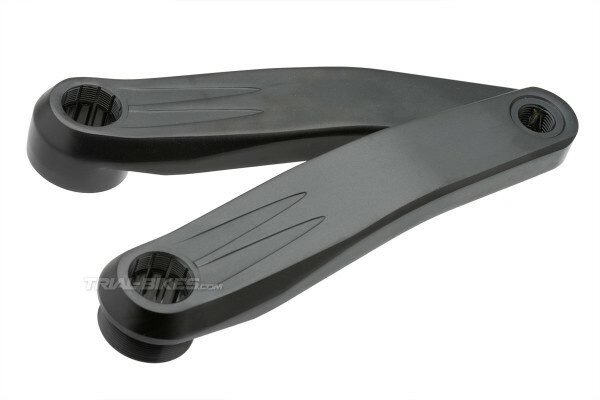 - These cranks have a 35mm offset, which helps prevent them from rubbing against the seat stays or rim brake cylinders. - Available in 160mm or 175mm versions. - Sprockets and freewheels with standard 1.37’’x24tpi thread. - Pedals with standard 9/16’’ thread. - Matt black, with laser etched info on the back of the arm.